Has this ever happened to you–24 hours have past and you’ve spent it doing this and that, but you feel like you’ve done nothing? You’ve definitely been busy. You’re perspiring and a good chunk of your to-do list has been checked off, but the time has not been productive. Most likely if you’ve had this experience or a similar one I know what else you’re experiencing or rather not experiencing. You’re not experiencing any type of prosperity or growth in your business. Things are happening here and there, but nothing that you could anchor yourself on. Yes, this has happened to me. The first step for getting over it was one having a reality check. This tip is a bonus tip. A friend of mine sat me down and said, “Nigeria, we need to figure this out. We need to figure out what’s blocking you.” After that conversation I discovered two things that were blocking me and one of them was I was too busy to be productive. Meditate. Psalms 1 recommends you mediate on the word of God both day and night and whatsoever you do shall prosper. Set some time up for meditating on the word of God. If you’re not used to this start with one minute a day. When you get it down pact include the family too. Automate. Automate. Automate. You can’t automate when you’re kids are going to need you to take them to the hospital and you can’t automate playing with them in the park, but you can automate your email sequences, you can automate/schedule your social media updates and respond to notifications at a later time. Organize. Instead of having things posted on a ton of different calendars and good ideas in different books and your to-do list somewhere else put it all together in one place, so you don’t have to waste time scratching your head trying to figure out what’s going on. If you want access to a solid planner that combines everything a millennial mompreneur and faith based owner need to get organized and get PAID click here to order the Passion and Purpose Planner. 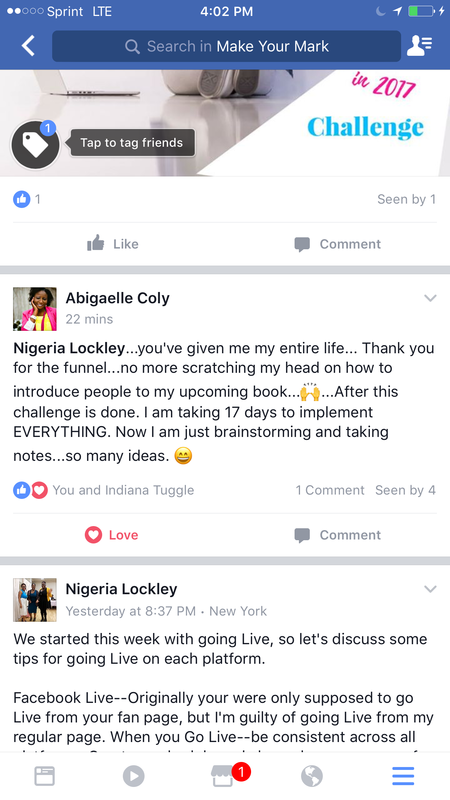 Can I tell you why the Passion and Purpose Planner was conceived??? Many people only share their strong side on social media, but let me keep it real with you I am organizationally challenged and easily distracted. That makes motherhood and managing a business hard. In order for a business to succeed you need organization, focus, and discipline and for a faith based brand to make bank Christ has to remain at the center. So, I created a planner that combined every aspect of running a 21st Century Faith Based Biz. 👉🏾 👉🏾Click here: www.inheritancebooks.co/PassionandPurposePlanner to order your Passion and Purpose Planner Quarterly Planner. Take a look inside the Passion and Purpose Planner. Y’all know I don’t even blog on a Tuesday, but that Golden State win was blog worthy for anyone who is passionate about taking a non-traditional career path. I particularly wanna talk about what I learned watching KD (Kevin Durant) for those of you who are not fluent in basketball (and don’t feel bad I only know a little basketball). Since GSW are celebrating a win that means he chased that ring in the right direction and here are three things we can learn from his pursuit. 1️⃣ To level up sometimes means you have to leave the space and place where you’re most comfortable. You might be functioning well there, but are you fulfilled? Yes, Durant, Westbrook, and the bearded one were an awesome trio, but they couldn’t take him where he wanted to go. Many people criticized his decision, but it looks like a smart choice. Be careful when listening to critics because most often the people criticizing you can’t get you where you want to go, but will be quick to tell you how to get there. 2️⃣ Be appreciative enough of the gift to be humble and wise enough to know you’re gifted and conduct yourself as such. 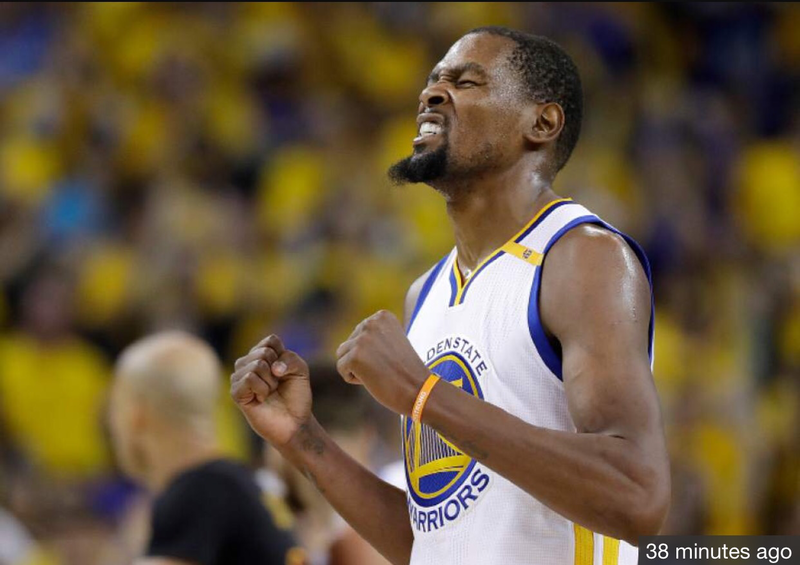 In the face one of basketball’s greats, Bron Bron KD didn’t falter or faint. There was no time for to think man he’s great I wish I was too. He played in his greatness. 3️⃣ Because you’ve lost before doesn’t mean you can’t ever win. Stay in the game. Now when you’re ready to stop playing by the rules you usually play by and ready to work with a winning team to #getyourInheritance book a Publishing Pow-Wow and evaluate your marketing game, so you can bring home the championship. Did you learn anything from last night’s game or the series? Share your insight with me. 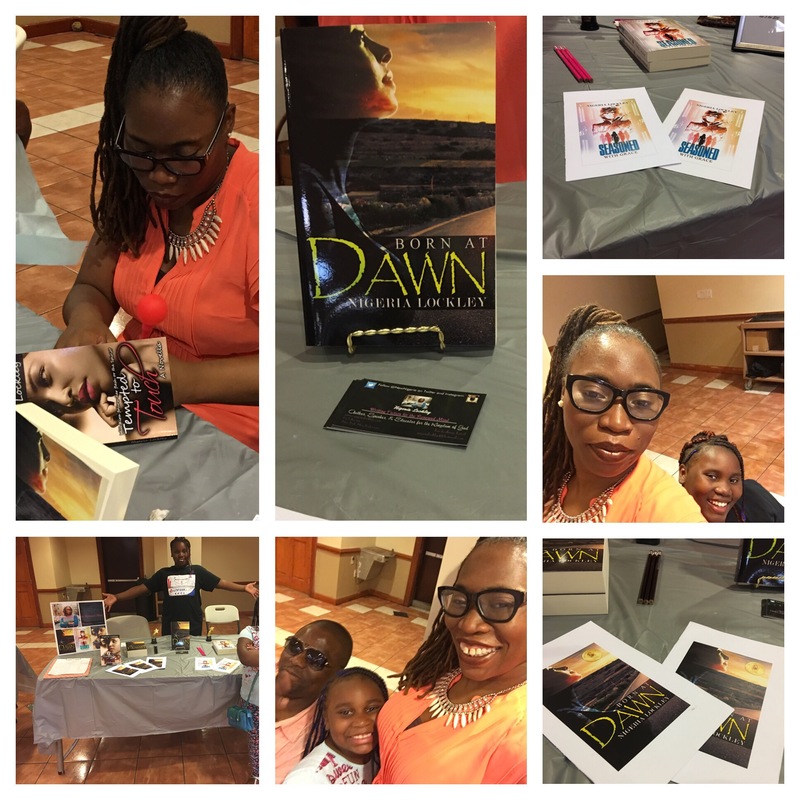 If you’re anything like I was when I started writing, you were ready to write, ready to see sales, connect with readers, and see some of the action that everyone was saying social media could take me to the next level. Only that didn’t happen right away. It didn’t happen until I started making an organized concerted effort to Boost My Brand. Now I’m sharing the tools that I used to Boost My Brand. Are you tired of having a headache? Low engagement and low sales making you doubt your skills or the reason you even started writing? All the marketing gurus telling you stuff, but not telling you how to implement? That means it’s time for you get creative and Boost Your Brand. Take control of your branding and marketing efforts while having fun is truly possible. You don’t have to do what I do the way I do it, but you can learn the tips and tricks that have helped me create a thriving author brand. Small action leads to big success. Building your author brand, marketing, and promoting it won’t be easy especially when you either do a smattering of things here and there or take huge sweeping actions and then stop. I know you just want to write the books; that’s all any of us want to do. However, there’s this moment where writing the books isn’t enough and you actually want to sell the books. Before sales can kickoff you have to tackle brand recognition. If that’s been your struggle then I have something for you. The 17 Ways to Boost Your Author Brand in 2017 Challenge. Increase your brand’s promotional efforts effortlessly. Increase your brand’s influence and income. On 3/17 the Challenge kicks off, but you can register now. That’s low investment of $34 will yield high returns. By Day 2 she had 3 months of content. 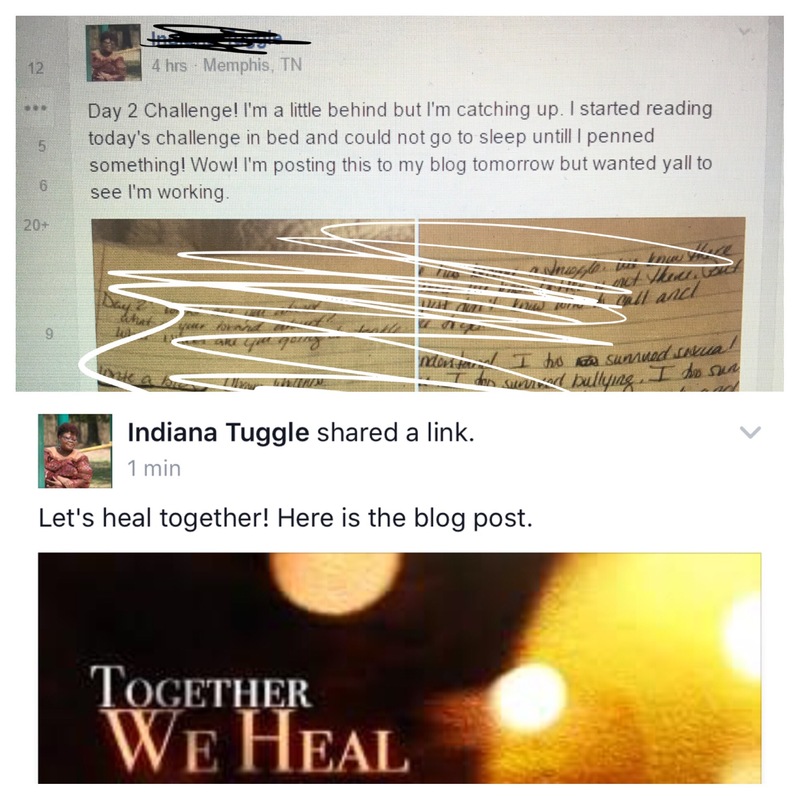 Blog content being written and published. Immediately! I gave her a road map for her funnel. Transform your mindset about promoting and marketing your brand. 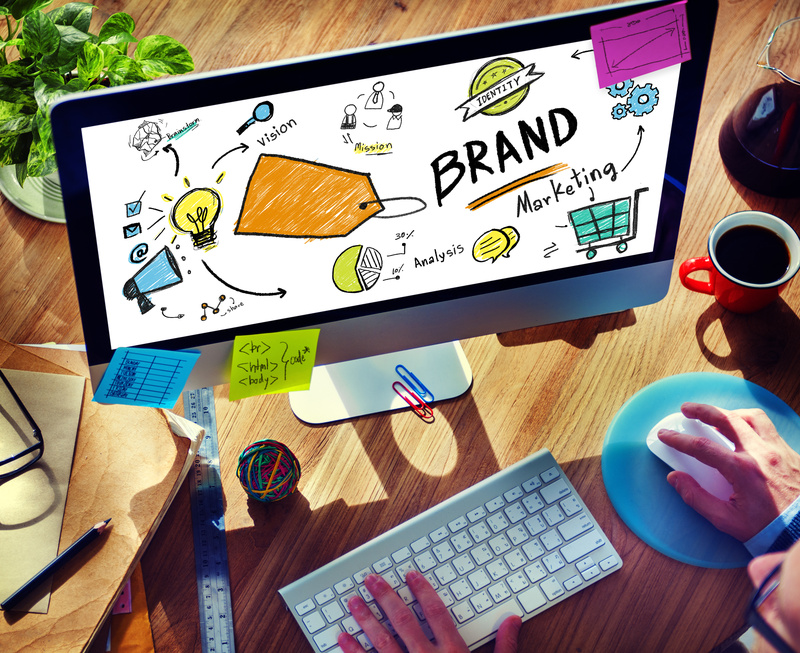 Branding and marketing doesn’t have to give you a headache. Searching for and connecting with your ideal audience shouldn’t feel like attending a series of several bad blind dates. Stop feeling under dressed for the occasion. When you sign up for the Brand Challenge you will gain access to my secret group Make Your Mark. I hope to see you on the 17th. On 2/17 the Boost Your Challenge kicks off, but you can register now using code: vday to take $3 off and take the challenge for $14. That’s right $14. A low investment that will yield high returns. Transform your mindset about promoting and marketing your brand. The end of the year always demands introspection and reflection, especially for me. As the year changes so does my age. I was blessed enough to be born on the last day of the year, so I am always looking back. 2016 was a bang up year for America– black men were killed at alarming rates, Trump was elected President, and many of the 80s and 70s’ pop icon that we grew up with passed away. But we pressed on, at least I did. I didn’t do everything I set out to do, but 2016 was a break through year for me as an author. Check out the year in rewind and hopefully a literary jewel or two will trickle from this post into your lap. The very first reading I participated in was a paid reading and I sold books at the event. Could you imagine my shock, that I would be paid to read from my own book. Speeches I understand, but I never expected to be paid just to be just to read my work. 2. I started coaching authors. Some of my authors booked me to work on their writing and some of them booked me to teach them marketing strategies. Some of them listened and some of them didn’t. LOL. In the end we both were stretched and grew. Wanna work with me too? To book your Publishing Pow-Wow today click here or click the photo below. 3. I got a chance meet Kevin Powell. We were seated beside each other at the Black Book Fair. He bought a book and signed up for my mailing list. I don’t know if he read said book, but I was excited nonetheless for a potential new reader. As long as he has the book the possibility is there. 4. I became a staff writer for Memoirs of a Virtuous Woman. If you’re a Christian woman trying to live right and deal with real issues you need to pop over there. This position was a great win because someone that I worked with (Why did I type that past tense? Was that prophetic? I hope so.) 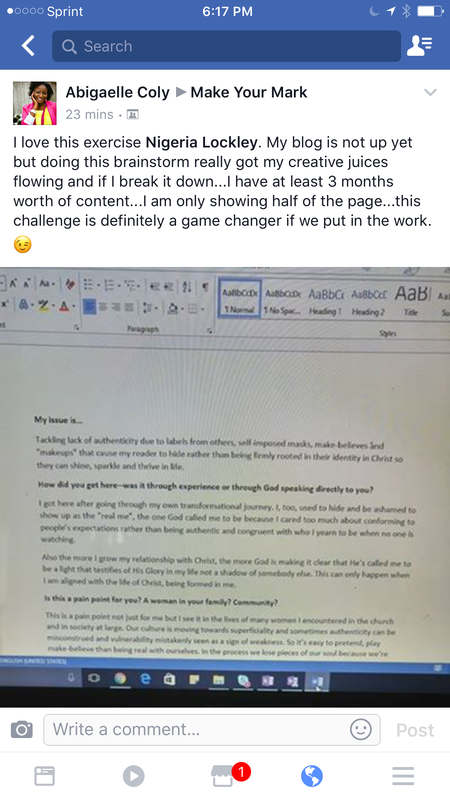 someone that I work with was very adamant about me ditching Jesus and just writing for a secular platform. I said no and a month later I got this gig, which ultimately landed me in the Memoirs of a Virtuous Woman magazine as well. Whatever your convictions are hold onto them. 5. I met with a live bookclub here in New York City. Bookclubs are secret societies. The only way in is if you know somebody that knows somebody. Thankfully at my first reading of the year I met somebody who was a member of the Sugar and Spice bookclub. 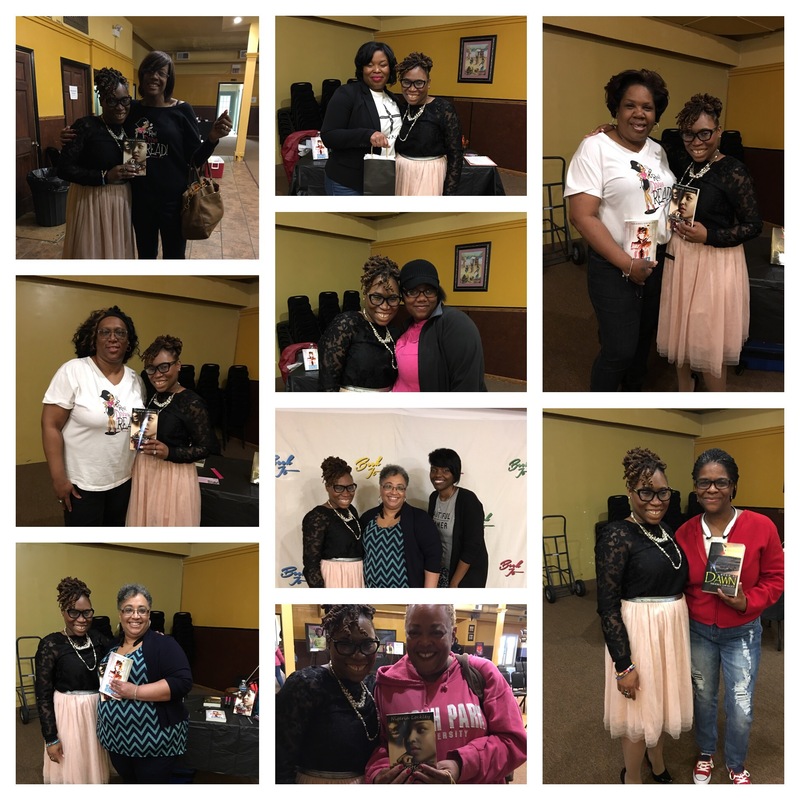 Many authors live off of bookclubs and as a new author while I recommend connecting with bookclubs invest your efforts in connecting with readers; they will always lead you to more readers whether they run in packs or not. 6. I went to Chicago. I didn’t do anything touristy, but I totally and completely loved attending, Book It. I had such a great time I’m going back again in 2017 by God’s grace. I also had the opportunity to meet some readers whom I know and love online in the flesh. 8. I learned the power of going Live streaming. After teaching one class while Live streaming I booked a gig to teach a Smart Social Media Management class for authors. 9. I took the whole entire family to a book event. First of all the kids are already on the payroll, but we let the hubs tag along. We all made it out alive, so maybe just maybe I’ll let them join me on the road again. 10. I got invited to speak at a library in North Carolina. Now that was a sore spot for me because every time I tried to book a trip or talk at a local library as someone suggested to me a long time ago it just never went right and then BAM! I got an invite. Though it is often said you shouldn’t wait for an opportunity you should create your own recognize that sometimes it’s just not your time. While there I met the and ate dinner with the Victorious Ladies Reading and if you don’t know who they are you better ask somebody. 11. I wrote and published my first non-fiction book, Pursuing Your Passion in a Godly Fashion: Prayers for Creative Christians and Entrepreneurs. 12. I sold out of Pursuing Your Passion in a Godly Fashion on the day of its release at the Christian Book Lover’s Retreat (which if you haven’t registered for it, please do yourself a favor and register). 14. I finally made up in my mind that no matter what goes on around me I would write until God tells me to have a seat. 15. I returned to my first love several times this year. I wrote some poetry. One of my poems was retweeted by Errol Lewis of NY1. Of course, I had to tag him first. 16. Opportunities abound and possibility is everywhere you just have to seek it, speak it, and walk in it. How was 2016 for you??? Share some of your highlights and lessons with me. The nature of motherhood and the conversation our culture has about motherhood is that self-care should be last on the list and your family first. The mom that wants to be a mogul at some point and time completely abandons self-care. But, ff you want make magic happen then you have to take care of the wand and that would be you. Here are 3 tips to incorporate self-care into your work routine and become more productive. Polish your nails, paint your face, or get dressed up–even while you’re in the house. Yes, working from how has it’s perks like wearing pjs while taking a client call or uploading content to your blog, but when you look good you feel good. When you feel good you are more motivated to get stuff done. So, at least once a week dedicate some time to spicing up your look before dropping the kids off at school or tackle your to-do list in stellar pair of pumps and watch how quickly and smoothly you get things done. No, not forever, but again at least once a week you need to cut out the salt, sugar, and the bad carbs. What are bad carbs? You know, the ones that make you feel so full you can’t get anything done after eating them.Swap out fresh fruits and veggies. If you’re like me short on time or just not the magic bullet kind of girl, run into your local grocer and grab a bottle of Bolthouse Smoothies. You won’t be disappointed and your energy levels will be through the roof. More energy equals more productivity. Sleep deprivation is not conducive to running a business especially if you are the business. You may have some super creative hours–like at one am your best idea may come to you, but if you’re not sleeping well you’re abusing your body and brain, both of which you need to function. If sleeping at regular intervals isn’t possible take a nap and then attack the to-do list. It will change the way you do business trust me. In my new book, Pursuing Your Passion in a Godly Fashion, I discuss the devastating effects sleep deprivation and stretching myself too thin had on me. I wound up in the ER (you don’t want that). Rest that mind then capitalize on the new ideas that freely flowing. Now, those are just three ways I use self-care to increase my productivity, but I’m open to suggestions. How do you use make time to care for yourself as a mompreneur? R-E-S-P-E-C-T isn’t that what all small business owners want? Of course, but sometimes it can be really difficult for a mompreneur to get some respect while working from home. Raise your hand if you know what I mean. You’ve got the kids running around, the husband making requests, and those pesky Facebook notifications can be downright disrespectful. The only way to get respect is to demand it. Not quite like this, even though that’s how you may feel. What you have to do be firm and about your business. Just like you would at your 9 to 5 create an environment that demands every member of your household respects your mompreneur hustle. It might be a fight and difficult for them to see it and grasp it, but go for it. Set office hours. Sometimes your day will just run together, but realistically if you want people to respect what you do have to set the tone. Some of my early Periscope videos and live classes have traces of my children’s voices in the background. Then I finally sat them down and explained the seriousness of what I’m doing and now I have almost no background voices in my training. Put your foot down and explain it in a language that they understand. Just like your kids or husband can’t just pop up in the middle of a meeting at your office they can’t just pop up while you’re working at home. Keep your working space a working space. I don’t care if you have a table top tray or full-fledged office (I’m IN between the two. I have a cubicle) keep all non-business related items out of your working space. Evict all the sippy cups, crayons, etc. Make your working space working space. As your family sees you respect your working space they will. Quantify your contributions or your potential contributions. Just like you would go before your boss for an annual review, sit down with the hubs or your partner and show them what your are earning and how those earnings have enhanced the household. If you’re just starting out–show your mate what the earning potential is and how much time you need to put to reach that point. Most men will be all for a few extra dollars coming in without you have to go out to get them. Will it be easy? Absolutely not. You might have to struggle a little while to get into a routine that works for the family and has you feeling like the boss you are. Fight for it though. Your contribution is valuable and your dreams are worthy of respect. Which one of these tips will you implement today? What tips to have for your fellow mompreneurs who are looking for some respect. Let’s face it–everyday you’re not going to love your business, especially in its early stages, but here are four ways to keep the fire burning. 1. Celebrate and memorialize your accomplishments. Hang up photos of you with your products, of you at events doing your thing, and photos of you with your clients. When you’re feeling down about your progress or lack thereof just look up. 2. Form a mastermind group with other mompreneurs. When you have people who are just as passionate as you are rooting for you and willing to help you come up with solutions for your family and business that makes it much easier to remain in the game. 3. Take a break. Step away from the business, get back to being a mom and reconnect with your source, God. For some help reconnecting to your source make sure you get your copy of Pursuing Your Passion in a Godly Fashion: Prayers for Creative Christian and Entrepreneur (use code: passion to save $2 on your pre-order). 4. Change your work hours. Are you putting in work during the hours when you’re the least productive? Sometimes as a mom and an entrepreneur your work hours become the midnight hours, but that might not be the actual time your brain functions best. You have to create a schedule that will allow you to work when you’re most productive. Don’t look for ways out when it gets rough. Continue for looking for ways in. Don’t give up Pursuing Your Passion in a Godly Fashion because you’re tired right now. I want to hear from you. What do you do to keep the fire burning when being a mompreneur is driving you insane??? If you came to this post seeking advice from a sage you’re in the wrong place. This is the Neophyte Author talking to you after all. What I offer in this post is a confession. I have been so unbalanced that I have accomplished a lot less than what I set out to accomplish. In an attempt to establish and brand Inheritance Books I have neglected other things namely my personal brand. Well, I‘m not really sure how it happened. As I plotted and planned how to build my new company, which is now a year old I also bit off more than I could chew. Do I regret it? No way. Within one year of business I released a book, started coaching other authors in the areas of marketing and writing, but where does that leave me? For a moment I felt lost and I had some personal stuff going on that was trying to dim my light and as the to-do list got longer I stopped doing what I was supposed to do for me as an author. Is a personal brand and business brand necessary? For me yes. For you maybe. It all depends on your ultimate goal. I am an author and I run an independent publishing company. Eventually (actually very soon), I’ll be publishing other authors, so Inheritance Books must become known as a company that provides content that edifies and entertains. I still want to continue to write and that is separate from the company. I already have a tribe and you all may not want everything that Inheritance Books offers, so I have to build a tribe for Inheritance Books (and thank you to those who are supporting us). I don’t know. With two kids who are in every class that requires them to be on the stage and requires me to be in either the audience or back stage there are some days I can’t do business. With a husband who is not a creative and doesn’t get what I do there are some days that I can’t do business. With a whole other career as an educator there are some days that I can’t do business. Currently I’m playing tug of war and I just decided I am going to win, by creating this balance that is highly sought after and rarely found. Is there anything I can do to get close to being balanced? Get organized. Get a planner and actually use it. Use your smart phone for more than posting on social media. Set reminders. Then let go and let it flow. Have you been struggling to find balance in your life? What do you do to keep everything in order and get stuff done? If you’d like to work with me send an email to nigeria@inheritancebooks.co to book a Publishing Pow-wow (for authors) or a Monster Manifestation Session (for creative entrepreneurs and digital brands and businesses. Visit Inheritance Books for more information. Pathways to Your #Passion: Are You a Brand? Branding. The one word that drives almost every author crazy. 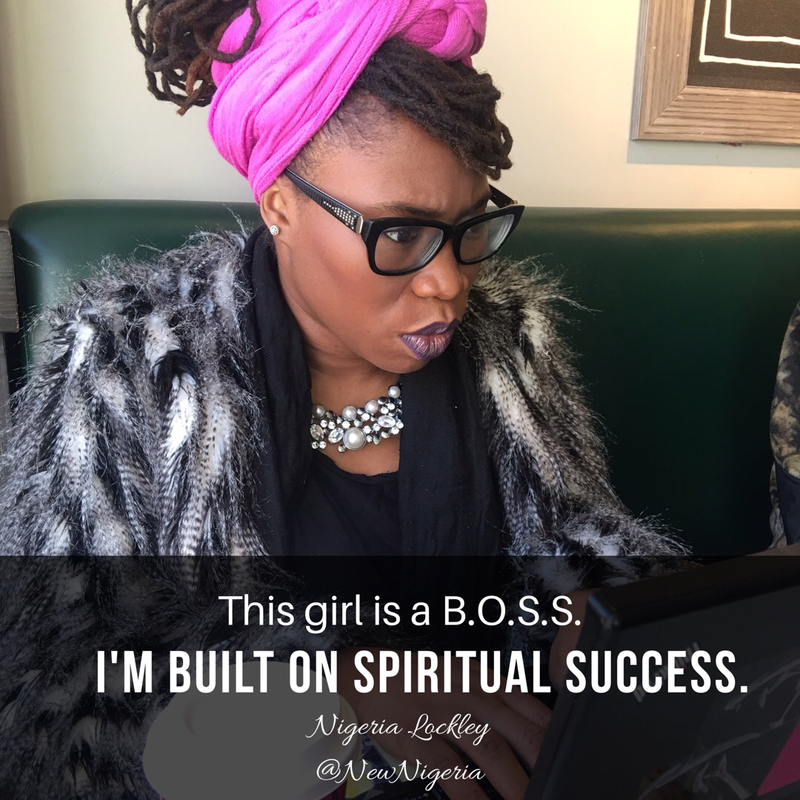 One of my very first posts on The Neophyte Author was about branding, “Building My Brand (and yours)”. I didn’t know what I was doing then and I’m not claiming that I’ve got the answer now–there’s a reason this blog is called The Neophyte Author. One thing that I realized was after establishing a brand you want to make sure that what you’ve established as your brand is actually being recognized in other people’s mind. I was going to do that evaluation when my one year anniversary came, but since it blew right past me in December I decided to let the sleeping dog lie. Actually, I didn’t want to have to deal with the idea of rebranding if I wasn’t successful. However, if when you’re brand isn’t an instant hit rebranding isn’t the first step for me or you. After a review of Born at Dawn was published on USA Today I realized it’s a fine time for some reflection for me and for you. A brand needs time to be developed before you can decide it doesn’t work. Take Coca-Cola for example, during it’s first year nine servings of were sold per day. Doesn’t sound like the start to a brand who’s logo was trademarked in 1888 is still recognizable today and is probably responsible for several thousand cavities. Are You a Brand (only in your head or in other people’s eyes)? What is your catchphrase, your one liner, your slogan? What is it that you do in one sentence. I write fiction for the renewed mind. This line should adequately reflect your product, your purpose/mission, and who your audience is. Are You and Your Brand Synonymous? Are you who you say you are? Check. In today’s social media driven world we’re all only one Google search away from, what is done in the dark being revealed and what was said in a corner being shouted from a mountaintop. If you’re not who say you are you better get right. This is particularly true if you are a Christian author. What we do requires a level of transparency, consistency, and commitment that other genres don’t require. People do not expect J.K Rowling to be a wizard or that James Patterson has committed any of the crimes that fuel his legal thrillers. However, when you proclaim the name of Christ there is an expectancy that you are what you are selling and promoting. If you’re speaking life you need to full of it and people should be able to recognize that. Who are you and what are the markers of your brand? Luke the physician–a doctor. Someone good at describing things and who also has the skill to put things in laymen’s terms is the author of two very spellbinding books of the Bible–his own epistle and Acts. Paul–formerly known as Saul who had a penchant for letters before His conversion. When he was Saul he used his love of letters to persecute Christians and when he gave himself to Christ the Lord used that same passion and letter writing ability to pen a majority or New Testament. He did need a little rebranding, but the Lord took him through that process. We’re able to look at these men and recognize their brand and distinguish their writing from other books of the Bible. Now what about you–does anyone recognize the marker’s of your brand without you telling them? Are you a brand? Have you established of the basic tenets of branding to test the water? Regardless, of the answer let’s remember Coca-Cola, let’s remember that only one hundred and twenty were assembled in the Upper Room and look at how many have received the Spirit of Christ since then. This is only the beginning and you can always begin again. Post your work, an excerpt, a link to your work or some type of ad you use to promote your work/brand in the comments and let’s assess your brand.